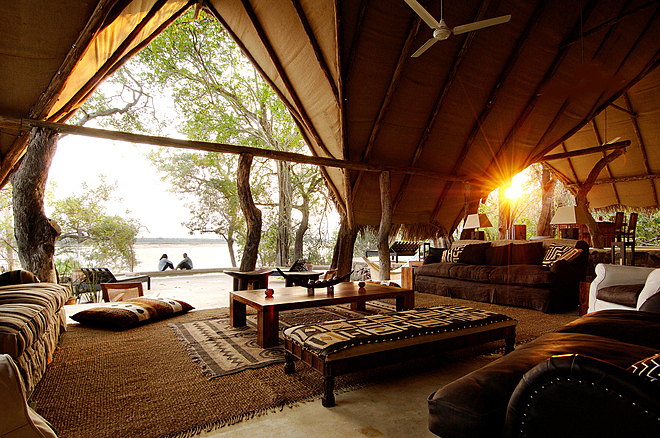 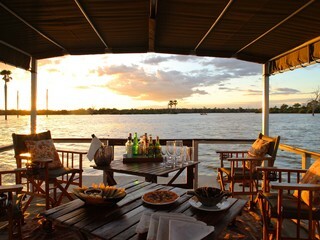 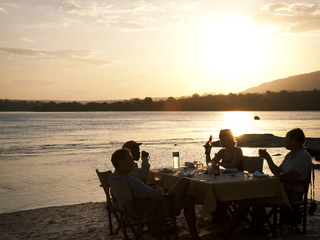 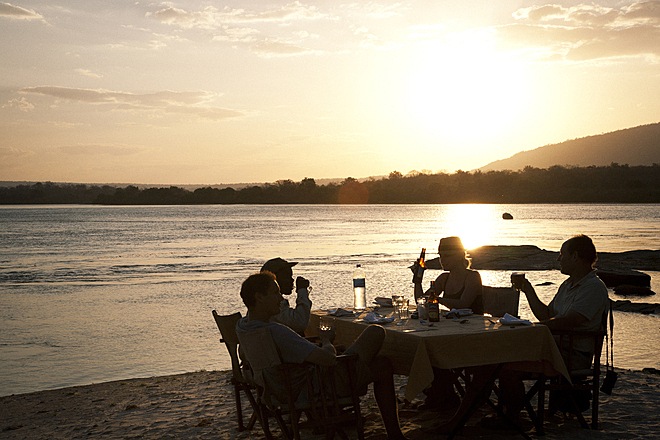 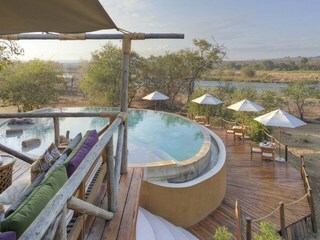 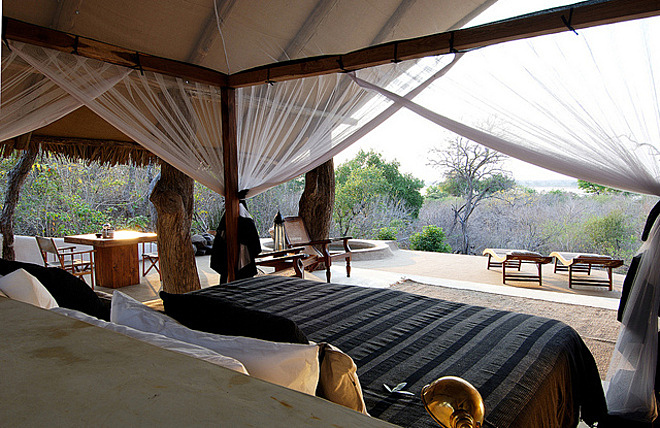 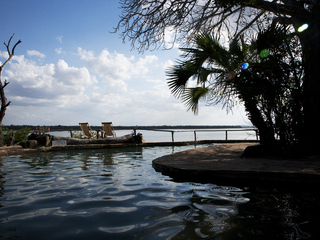 Kiba Point belongs to the Nomad Tanzania portfolio and is a sister property to the nearby Sand Rivers Camp. 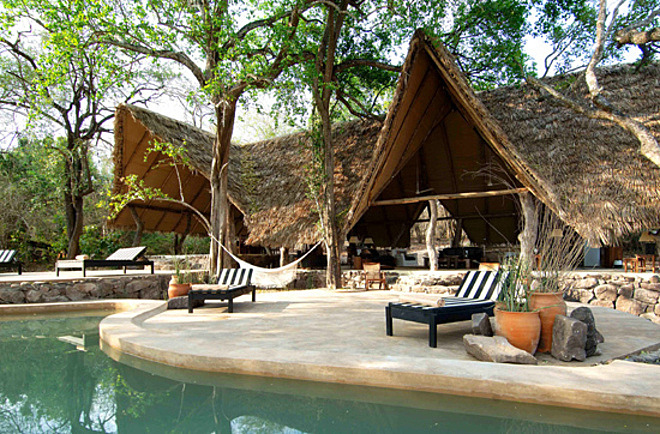 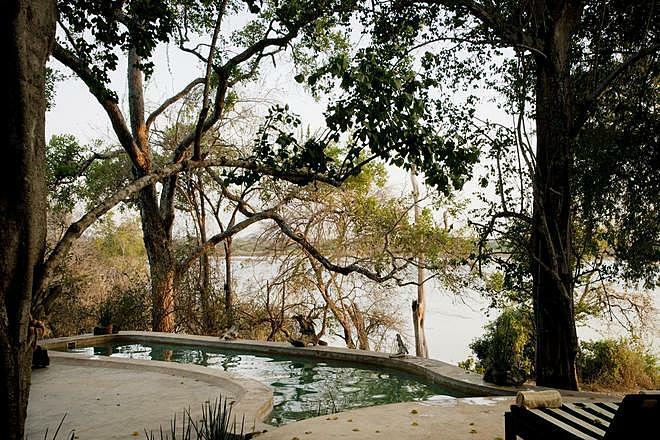 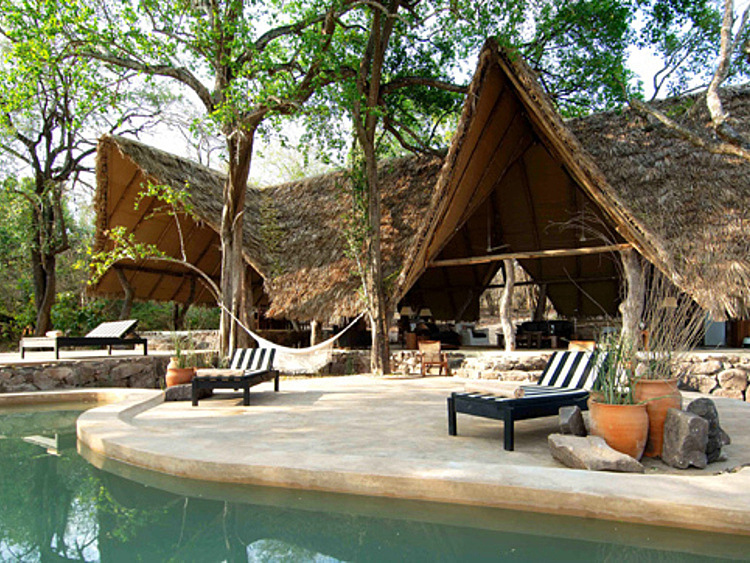 Accessible only by air, this private lodge occupies a stunning secluded riverside location right in the heart of the Selous game reserve, Southern Tanzania. 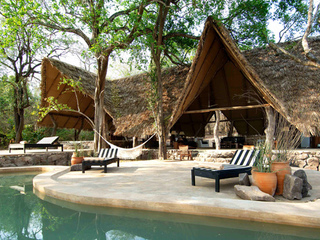 The thatched main mess area is surrounded by the swimming pool and pretty gardens. 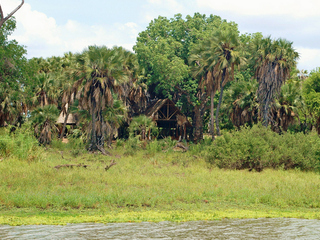 Although Kiba’s location isn’t quite as impressive as that of Sand Rivers, it’s a real thrill to see elephants and other animals wandering around this peaceful and private retreat at such close proximity. 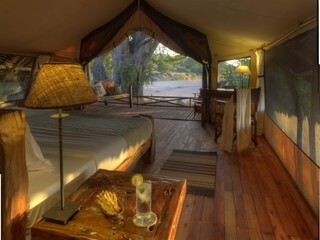 The camp has its own team of guides and guests can enjoy all of the activities offered at the main Sand Rivers Camp, including twice daily game drives, bush walks, motorboat safaris and fly camping. 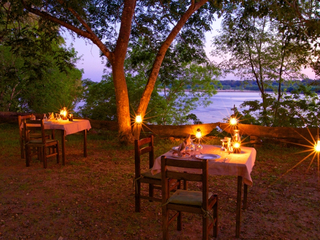 The Selous game reserve is a World Heritage site full of diverse habitats and a host of wildlife making it one of the best places in East Africa to experience a safari. 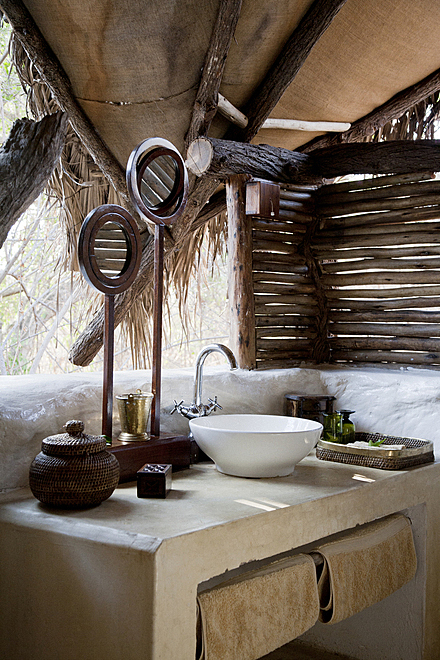 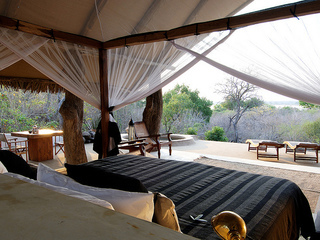 The accommodation is split into four stone and thatch cottage-style bedrooms that house up to eight guests in total. 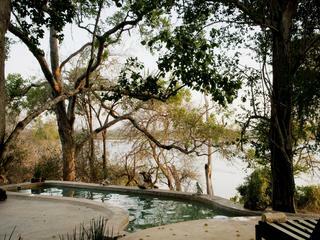 Each room has its own veranda, private plunge pool and en-suite bathroom with indoor and outdoor showers, running hot and cold water and flush toilet. 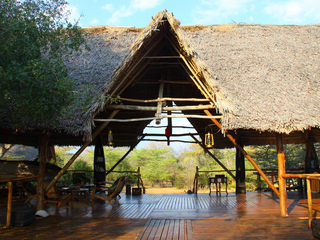 The cottages are open fronted to maximise wildlife viewing during the day, and heavy netting can be zipped closed at night if guests wish. 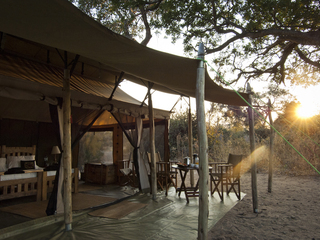 Children from eight years of age are welcome, although for safety reasons, fly camping and walking safaris are only available to those aged twelve years and over. 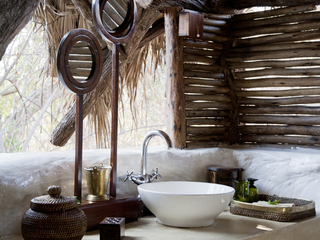 One of the four cottages has adjoining rooms for parents and children to share. 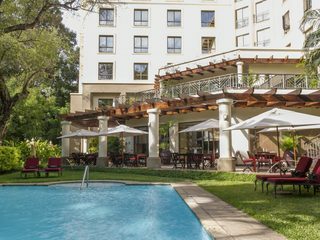 Although there are no dedicated facilities for children, they are welcomed here and are free to play in the pool and gardens. 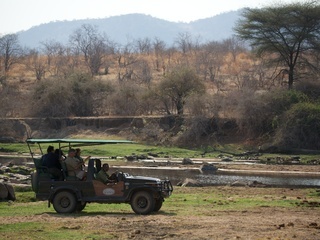 However, the location is very wild, and while it’s highly uncommon for animals to approach humans, children must be kept under constant parental supervision. 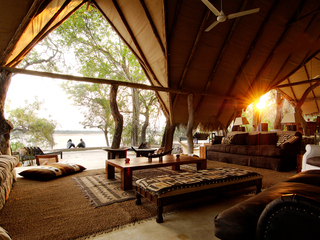 Kiba Point is a high-end option for travellers looking to find an authentic and exclusive safari experience, with a high level of freedom and flexibility.